From the outset you’re taught the importance of using minimal recourses to create interesting spaces. It’s an extremely organic process which allows you to dig deep into your creativity. 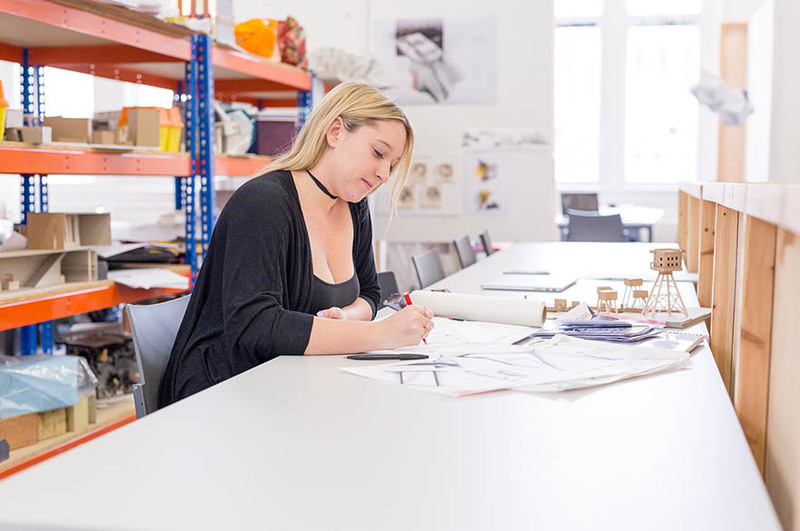 “Studying Interior Architecture and Design at NTU has been an incredible experience. I’ve really enjoyed the structure of the course, it’s extremely technical and architecturally based. From the outset you’re taught the importance of using minimal recourses to create interesting spaces. It’s an extremely organic process which allows you to dig deep into your creativity. “As the course progresses it becomes more logical in terms of how we use the space in reality. This is where the placement program complements the degree, as many of us have been out in the field learning, we now know how to logically design a space. Once we learnt the importance of architecture and the experiences it can create, we dove into the details of reality. It now makes us think of the experience and the architecture first rather than using furniture to occupy a space without any thought of this experience. “I recently finished my placement with HLW International, a global architectural design practice, who specialise in commercial office design. During my time at HLW I worked on various projects such as Googles office in Paris, SKY’s office in Brick Lane, London and their office in St Catherine’s Docks. HLW gave me a world of opportunities along with their full trust in me. “At first the responsibility was overwhelming and challenging but it made me stronger, they don’t look at you as a typical ‘intern’, you are a designer and you are fully apart of the whole process and team. This really helped me grow and understand all aspects of the design process from the initial concepts and design strategy all the way through to delivery. “Choose this course if you feel a genuine interest for design. It requires a lot of time, dedication and passion, if you put in the time and effort the results are worth it.